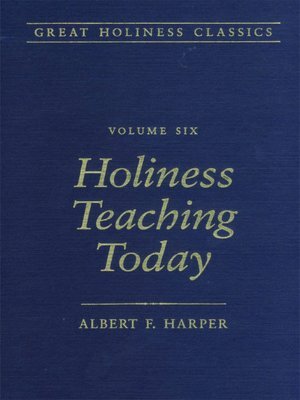 “From the Publisher:” Volume 6 of the Great Holiness Classics series is a compilation of the most significant literature of the Holiness Movement throughout church history. Volume 6 includes the major contributions of nine 20th century teachers including Henry Clay Morrison, E. Stanley Jones, and J. B. Chapman. Hardcover, 412 pages.